This is our lives now, having to deal with mosquitoes every night. 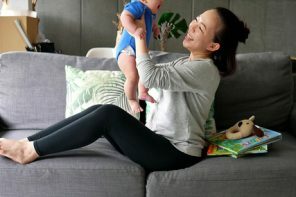 The redness, the swelling and the uncontrollable itching that come with a mosquito bite are enough to ruin our sleep and our day. Sometimes, we resort to store bought insect repellents to keep mosquitoes away, but these insect repellents often contain a toxic pesticide that is dangerous to human health. Fortunately, Sharp has a new device to help most of us in tackling mosquito problem. 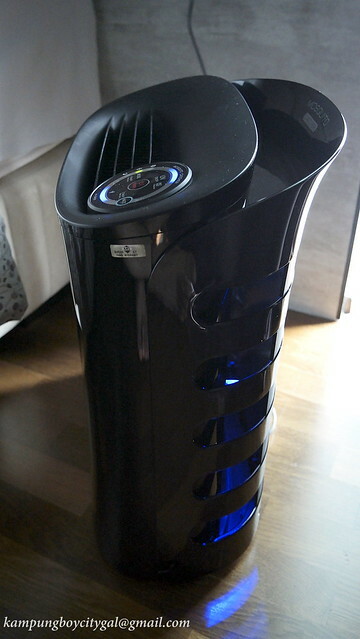 It is an air purifier that also catches the bloodsucking insects. 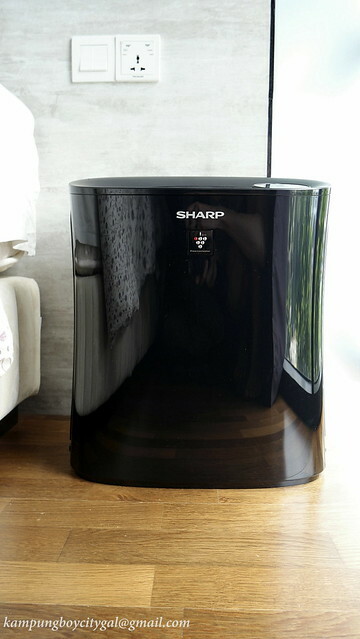 SHARP launched the FP-FM40, the world’s first air purifier with mosquito catcher last year. And this month, SHARP is adding another model to this range, a more compact FP-GM30. 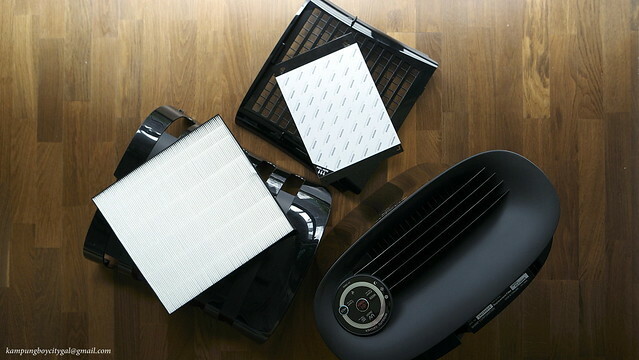 The package comes with HEPA filter and glue sheets that we installed once we unboxed the air purifier. 1) Plasmacluster Ion (PCI) Technology: Protects users from viruses, allergens and microbes as well as inhibits the growth of mould. 3) Mosquito catcher: Reduces the nuisance and threats of mosquito by using a cleverly designed glue trap that uses UV light to attract and ensnare mosquitoes. 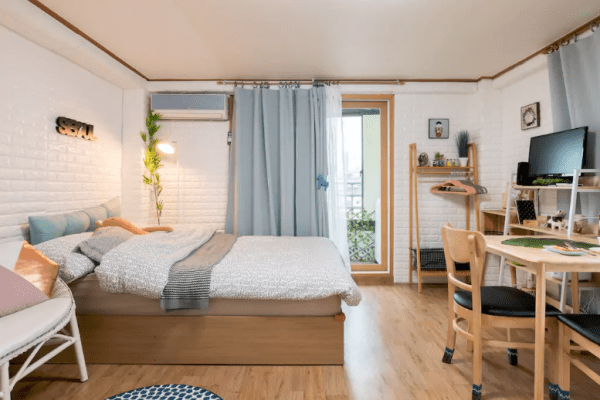 The new model is more compact, allowing us to carry it around and use it in the living room (day time) and bedroom (night time). The FP-GM30 also comes with the Haze mode, another function designed for especially for us and our neighbouring countries, to eliminate fine particles efficiently and reduce some toxic substances of HAZE (smoke pollution). Haze mode emits maximum Plasmacluster Ions for the first 10 minutes with the strongest airflow for maximum efficacy. After 50 minutes on high mode, airflow alternates between low and high modes to reduce operation noise. When Sleep Mode is turned on, the fan automatically switches to low speed and fan operation becomes quiet. Also, the blue illuminating Plasmacluster logo turns off so that your sleep is undisturbed. 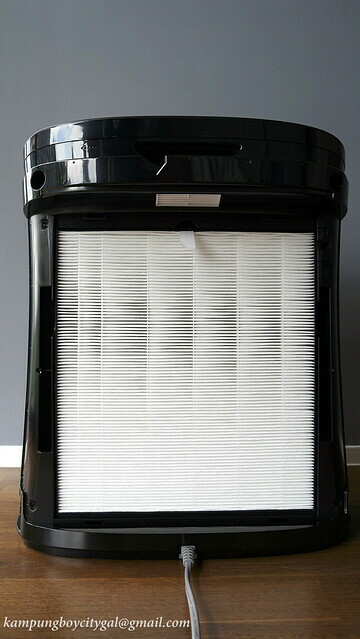 First, we installed the HEPA Triple filter which is the best grade High Efficiency Particulate Air Filter enable 99.97% of 0.3 μm particles to be removed. 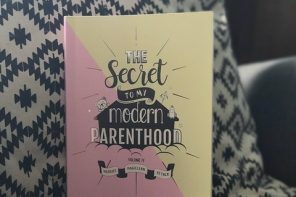 Love the triple filter protection for me and my family! 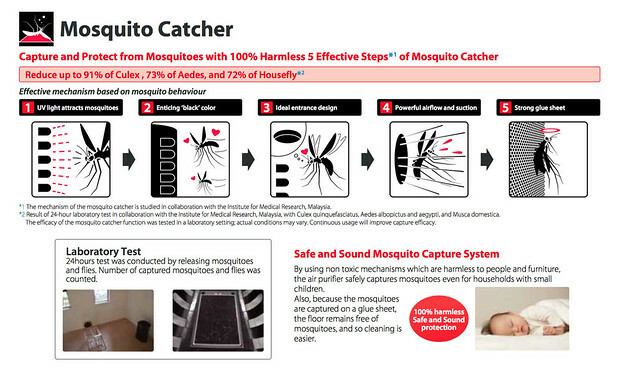 The mechanism of the mosquito catcher is very clever too! The LED UV light is seductive for some species. 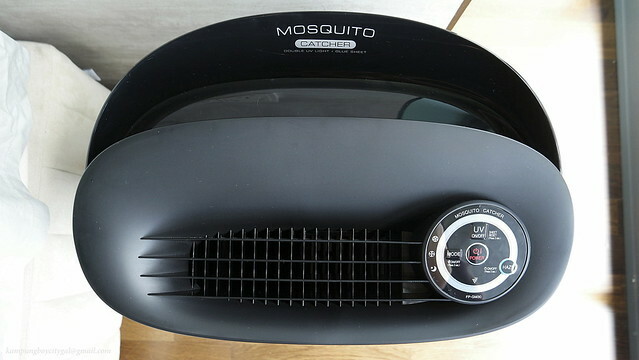 The black body of the air purifier is known to be the attractive colour for mosquitos. The narrow shape of the air inlet by the sides is designed according to the mosquito’s behaviour of hiding in narrow spaces. 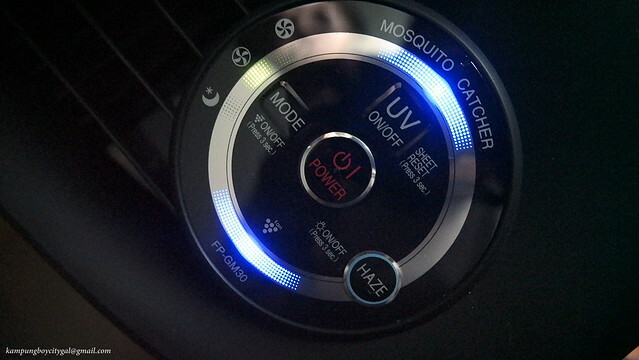 The unique powerful air flow and suction of SHARP’s air purifier is also one of the main factors that helps to capture and trap the mosquitoes. 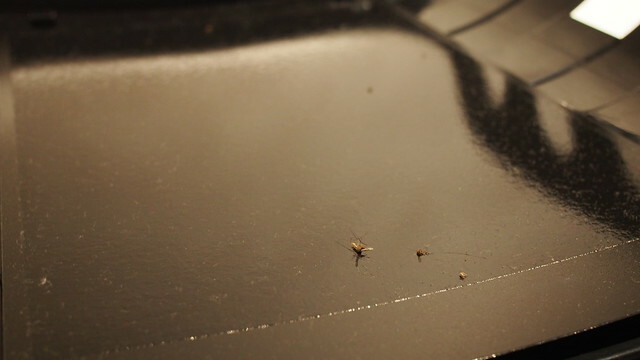 The uniquely designed replaceable 3-layer glue sheet can seal the mosquito firmly. It can last at least 1 month per layer, with a total of 3 months with 3 layers. There is no hassle in changing or cleaning the mess with its easy disposal structure. 100% harmless with strong catching power. It is also exchangeable; the recommended period of each layer is one month. 3 pieces is included with the purchase, and any additional purchase can be done at Sharp’s authorised dealers. We have been using it for few weeks now, and we have not been experiencing mosquito problems so far. Our morning sinus also improved as plasmacluster ion technology is proven to effectively kill germs, bacteria, viruses, mold and odors. You know what excites me the most? 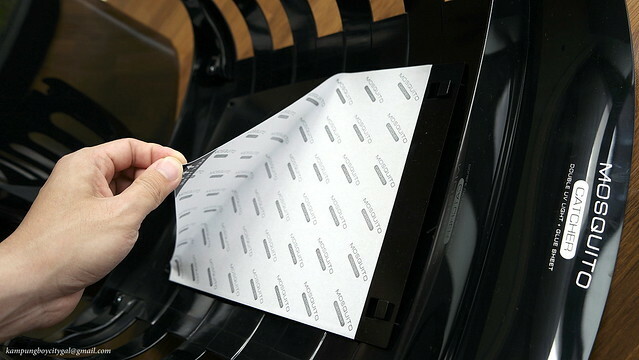 The moment I open up the machine to reveal the glue sheet with mosquito’s carcass muahahhahah. It does its job as a mosquito catcher but it would be nice to see it catches more.